On behalf of the Philharmonie de Paris and Tenso Network Europe, Emmanuel Hondré and Leo Samama address a welcome to the audience. In his keynote speech, musicologist and semiologist Eero Tarasti (Sibelius Academy of the University of the Arts Helsinki) gives an overview of angles to approach the topic of the conference, in academic research and in practice. Emmanuel Hondré (FR) is director of the département des concerts et spectacles de la Philharmonie de Paris. Educated as flutist, recipient of four major prizes in the history of music, esthetics, pedagogics and musicology of the Conservatoire National de Musique et de Danse de Paris, Hondré holds a PhD in Musicology. His researches have focused on the decentralization of music education in the XIXth century. After a spell of teaching music history at Conservatoire du Centre de Paris, l’École Nationale Supérieure des Techniques Avancées, Centre d’Art Polyphonique de Paris and l’École Polytechnique, he was music editor of the Cité de la Musique since 1997, until he was appointed as Head of Culture Service at the Musée de la Musique in 2002 and then director of production of Cité de la musique and Salle Pleyel (2005), and from 2015, director of the département des concerts et spectacles de la Philharmonie de Paris. He is member of the artistic committee of Impuls neue Musik. 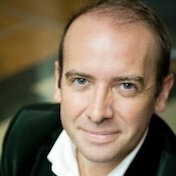 Leo Samama (NL) is chief artistic council of Tenso, the European network of professional chamber choirs. Until 2011, Samama was director of Tenso member Nederlands Kamerkoor, and as such, he was one of the founding members of the network. Samama studied musicology and composition with Rudolf Escher. He taught at the Utrechts Conservatorium and the University of Utrecht, wrote music critiques for Dutch national newspaper De Volkskrant, and still publishes frequently in other journals and magazines. 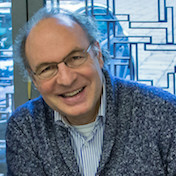 He is the author of several books about Dutch music, among which the recently appeared ‘Diepenbrock, componist van het vocale’ (Diepenbrock, composer of vocal music, Amsterdam University Press 2012) and ‘Dutch music in the twentieth century’ (Amsterdam University Press 2006). Several series of his lectures on music and composers have appeared on cd, such as the lectures on Debussy, Schubert and others. He was artistic coordinator of the Residentie Orkest and director of the Nederlands Kamerkoor. His music has been performed by ensembles and choirs in and outside the Netherlands. In October 2012, the Nederlands Kamerkoor premiered his work ‘De Zee’ during their jubileum concert weekend. Leo Samama is also the photographer of most of the pictures that you will find on this site. 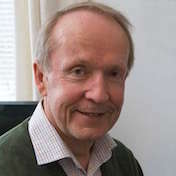 Eero Aarne Pekka Tarasti is a Finnish musicologist and semiologist, currently serving as Professor of Musicology at the University of Helsinki. He received his Ph.D. degree at the University of Helsinki in 1978, writing his dissertation Myth and Music on Richard Wagner, Jean Sibelius, and Igor Stravinsky. Then, Tarasti served at the University of Jyväskylä between 1979–1984, where he was appointed Professor of Arts Education in 1979 and Professor of Musicology in 1983. In 1984 he took the position of Professor of Musicology in Helsinki, succeeding Erik Tawaststjerna. Tarasti has held posts as Director or President in several semiotic and musical societies and since the 1970s has written and edited numerous books encompassing a semiotic approach to music. He is the President of the International Association for Semiotic Studies (2004–current), and the Director of the International Semiotics Institute.